این ميوه اي گرمسيري با پوستي قهوه اي رنگ طعم و مزه شيرين است که دارای خواص درمانی برای برخی بيماريها و همچنین ترميم دندانهاست. متخصصان هندی می‌گویند: «چیکو» که یک میوه گرمسیری است خاصیت ضدسرطانی دارد. این متخصصان در مطالعات خود مشاهده کردند که عصاره «متانولی» این میوه حاوی «فیتوکمیکال‌ها»ی فعالی است که روی سلول‌های تومور تاثیر گذاشته و می‌تواند این سلول‌ها را از بین ببرد. «ساتیس سی راگاوان»، یکی از متخصصان این مطالعه گفت: در این بررسی عصاره متانولی حاصل از میوه کامل چیکو و خواص ضدسرطانی آن روی سلول‌های سرطانی مختلف و مدل‌های حیوانی مورد آزمایش قرار گرفت. یافته‌های به دست آمده حاکی از آن است که گنجاندن چیکو در رژیم غذایی روزانه از بدن در برابر پیشرفت سلول‌های سرطانی حفاظت می‌کند. این متخصصان اظهار داشتند: هر سال در هند یک میلیون مورد جدید ابتلا به سرطان گزارش می‌شود که این رقم طی ۲۰ سال دو برابر خواهد شد. همچنین از حدود هشت میلیون مورد فوتی در سال ۲۰۱۲ میلادی در سراسر جهان بر اثر ابتلا به سرطان نزدیک به ۷۰۰ هزار مورد در هند رخ داده است. راگاوان گفت: این میوه به دلیل تنوع شیمیایی وسیع برای درمان انواع سرطان موثر است. ما در این بررسی تاثیر آن را روی سلول‌های سرطانی گرفته شده از سرطان‌های مختلف همچون لوسمی، سرطان ریه و پستان آزمایش و مشاهده کردیم که میوه چیکو میزان گسترش سلول‌های سرطانی را در موش‌ها کاهش داده است. همچنین متخصصان دریافتند که عصاره میوه چیکو نه تنها از رشد سلول‌های سرطانی در ۵۰ درصد از موش‌های تحت آزمایش جلوگیری کرده بلکه موجب افزایش سه برابری طول عمر موش‌های تحت درمان شده است. چیکو میوه‌ای است که در مناطق استوایی و گرمسیری کشت می‌شود و در کشورهای متعددی مصرف دارد و حاوی فیبر خوراکی،‌ مواد معدنی، ویتامین‌ها و آنتی‌اکسیدان‌های قوی است. 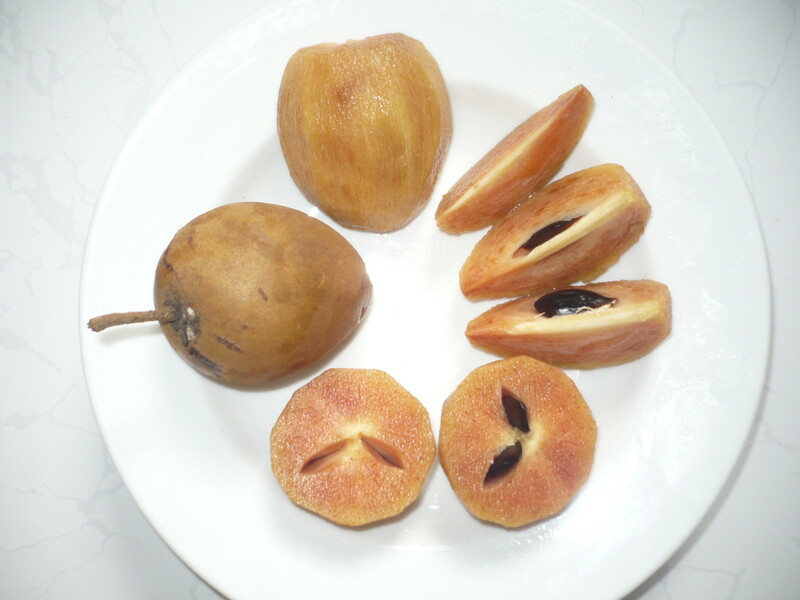 The English name for is sapodilla, noseberry, mudapples etc. In India, it is called chickoo, sapota among other names. The Chickoo tree is native to Southern Mexico, Central America and the Caribbean. It is a moderately tall tree in cultivation growing to about 30 to 50 feet in height with widely branching stem and branches. The chickoo tree needs a tropical climate to grow and cannot survive freezing temperatures. It takes about 5 to 8 years to mature and yields fruit twice a year. 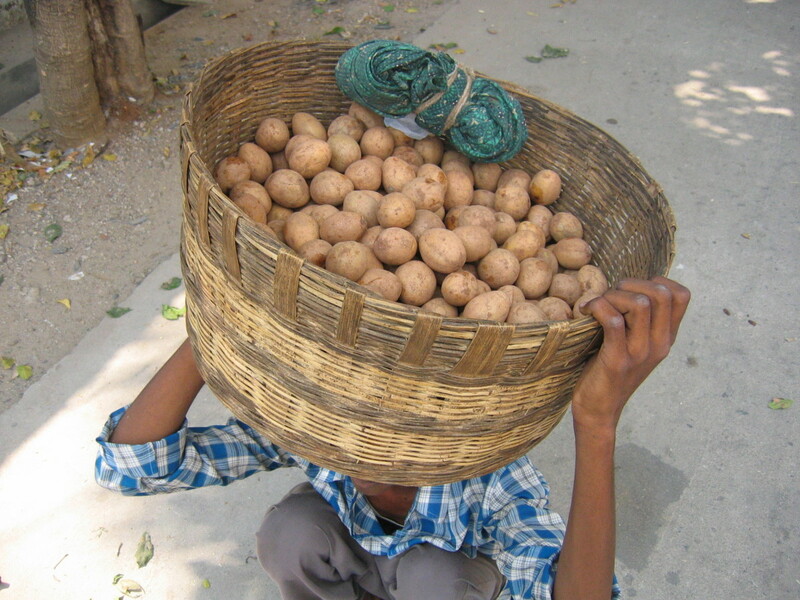 It is being cultivate in a big way in India, Pakistan, Sri Lanka, Bangladesh, Thailand, Vietnam, Maldives and Indonesia. 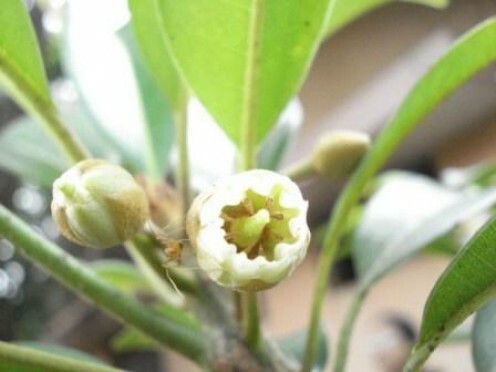 It is also cultivated in Florida in the U.S. The fruit is brown colored large berry which has 2 to 5 big, shiny and black colored seeds. The flesh is pale brown in color, smooth and buttery in feel with exceptionally sweet taste. 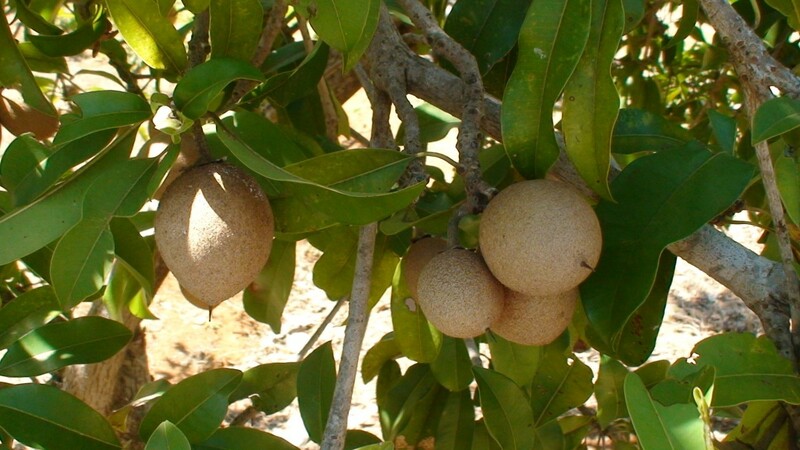 The raw fruit has a high latex content and a bit of latex remains even in the ripe fruit. The raw fruit skin is rough and leathery and it becomes smooth on ripening. an overripe fruit tastes mushy and fermented. It is healthier to eat chickoo along with the skin. The fruit is normally eaten as it is. It can be used to make milkshakes, smoothies, icecreams etc. In some countries it is crushed and boiled to make a syrup. The gummy chickle is used to make gum in a big way some years back but this has now been mostly taken over by latex from other trees and other synthetic gums. The wood is strong and durable and is used to make flooring, wooden carts, tool handles and railway crossties. The red heartwood is used for making archer's bows, furniture, bannisters etc. The bark is used by Philippine fisherman to tint their sails and fishing lines as it is rich in tannins. Chickoo is abundant in fructose and sucrose. It is good source of dietary fiber. Rich in calories, provides about 83 calories per 100 grams. Contains tannins, the polyphenolic antioxidants. Chickoo contains a number of minerals like iron, magnesium, calcium, phosphorus, copper and potassium as well as the Vitamins A, C, thiamine, niacin, pantothenic acid and folate. Nutritive value per 100 g.
The dietary fiber prevents constipation and also binds to the toxins and eliminates them from the body thus protecting against colon cancer. The fruit has tannins that have anti inflammatory properties thus benefiting in gastritis, reflux esophagitis and bowel disorders. The high levels of Vitamin C and the levels of Vitamin A help to keep the mucus membranes and skin healthy. Vitamin C also boosts immunity, prevents infections and scavenges free radicals as well. Chickoo is a good anti diarrheal, hemostatic and is useful in piles because of the tannin content. The magnesium, calcium and phosphorus keep the bones strong while the magnesium benefits the heart and blood vessels. The fruit is a diuretic and prevents kidney disease. Potassium helps to regulate blood pressure and promote healthy circulation. Folate and iron help to prevent anemia. Chickoo strengthens the intestines and improves their performance. A decoction of the bark is good for fevers and diarrhea. The ground seeds are applied as a paste to alleviate sings and bites. Tea made of the bark also treats dysentery while the leaves are useful in treating cough, colds and diarrhea.